Home Make a plan How to choose the ideal backpack (without going crazy)? For my upcoming trip BoB’s Epic Adventure, I decided it was time for a new backpack. After long and careful consideration, I finally opted for the beautiful dark red Fjallraven Abisko 65 L; a narrow backpack, but large enough to fit in my camping gear. The backpack is specifically designed for females or smaller males. During my search to a suitable backpack I discovered a wide range of backpacks is available in terms of size, models and brands. There are big ones, small ones, fancy ones, simple ones, front loaders, panel loaders, red ones, black ones, extra secure ones, extra strong ones, with rain cover, without rain cover etc. Anyway, it can become difficult to see the wood for the trees. 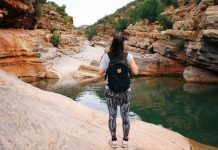 This article provides some useful tips and tricks on how to choose a backpack perfect for your travels. Find the Dutch version of this article here. The first step is to ask yourself: ‘For what type of trip will you be using the backpack? 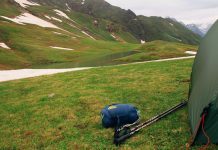 Will you, for example, be going hiking, mountain climbing, cycling or traveling?’ In general you can stick to the following simple guidelines in terms of backpack size. For a day trip, a backpack of 20-40 liters is enough. However, in winter you may need a slightly bigger backpack for extra warm clothing and protective equipment. For multiple-day trips or long-term travel you will need a 40-60 liters backpack. For trips which require you to bring your own tent, food and other supplies, it is recommended to bring a 60-100 liters backpack. Curious to see what I pack for my backpacking adventures? Check it out here! When buying a new backpack, pay attention to the backpack’s weight. If you carry heavy equipment, it’s important to choose a lightweight backpack with great stability and more carrying comfort. It’s also recommended to try-out the backpack packed with all your travel gear at home, so you already have an idea of the total weight. Never take more than 25% of your own weight with you. When carrying a heavy pack, it’s advised to buy a backpack with a hip belt. A hip belt divides the weight over your pelvis, so that your leg muscles carry some of the weight, instead of only your back- and shoulder muscles. Good hip belts are dual-density foam-padded, with thick foam on the outside for stability and soft foam on the inside for comfort. When choosing a suitable backpack, always check the type of back panel. Back panels provide stability, flexibility and equal distribution of the weight. There are two types of back panels: a massive back panel and a mesh frame back panel. A massive back panel is positioned directly on your backpack, providing greater stability, but also less ventilation causing you to sweat more. A mesh frame holds a net against your back, providing more ventilation and less stability. It’s also important to check whether the panel is suitable for your posture and size. For example, take the anatomical differences between males and females into account. Backpacks are available in female or male models, with adjusted back panels and hip belts. If you buy a backpack, also pay attention to extra’s such as a rain cover, number of pockets etc. Once you’ve find the perfect backpack, it’s important to pack well. Make sure all your gear remains within reach and weight is well-divided over the backpack. It’s best to put heavy backpacking equipment like a tent close to the back. By doing this, the point of gravity also lies on the ‘backside’. Light stuff are best put in the bottom of the backpack. Therefore, it’s convenient if the backpack has an upper and lower compartiment. 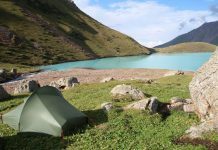 Find another great backpacking gear list here! This is my third backpack in 10 years. I started with a 50L Wildebeast backpack ( and did two 3-month Asia trips with this size). Two-three years ago, I switched to a 65L Wildebeast backpack.’Wildebeast’ backpacks are quite cheap and they performed well on my trips. I liked the fact that they were a front loaders and had many different pockets. In terms of size, 65L is way too big for regular 2-4 weeks backpack trips, but since I’m now bringing my own camping equipment, I opted to stick to this size. It’s perfect! Other brands, you may want to check out are Osprey, Deuter and the Northface. I’m very happy with my beautiful red Fjallraven backpack. Curious to hear about your backpack! E.g. brand, size (liters), how many years you’ve had it and advantages/disadvantages? 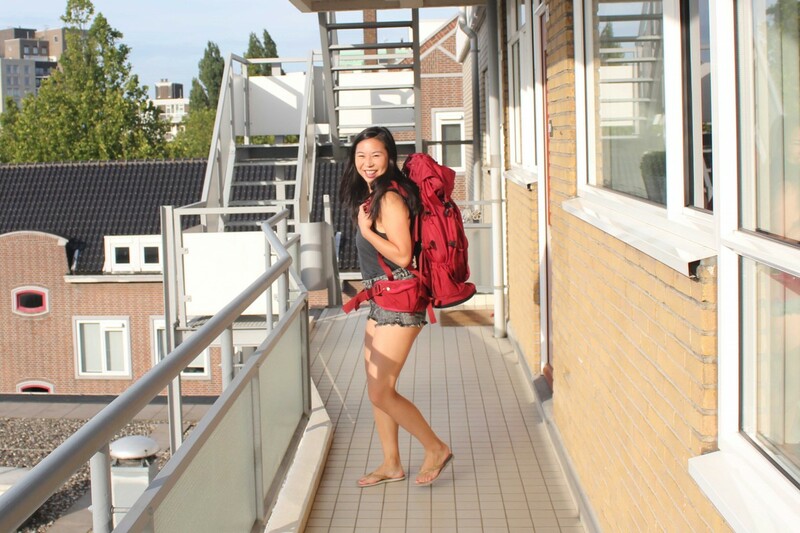 Disclosure: For this article, Bunch of Backpackers teamed up with Travelbags.nl. Views and opinions expressed in this article are my own. 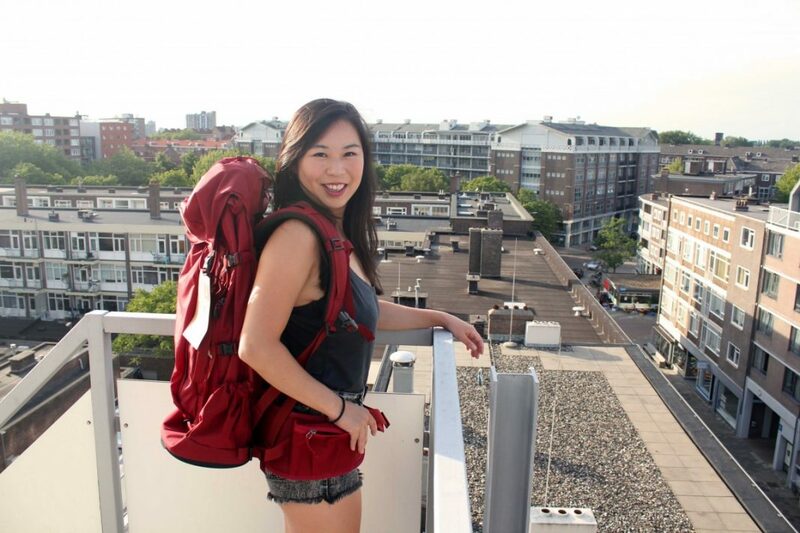 Previous articleTips en tricks voor het kiezen van jouw ideale backpack! I’m currently looking into buying the Fjallraven Abisko (or Kajka)and stumbled on your blog. How are your experiences with the bag? Comfi? I’m not quite sure as it is very expensive, the Kajka even more and heavy as well!! So, would like to hear about your experience. Have fitted both of them on and do really like them! Love to hear from you, groetjes! 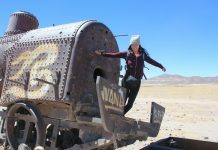 Wow, this is really amazing and great tips for travelers Dear Manouk thank you very much for sharing with everybody. 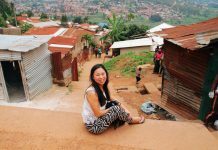 I am a hiker from Nepal and Nepal have so many places to hike with a backpack this is really helpful.